In the spirit of trying new things (this is a Makers group after all! 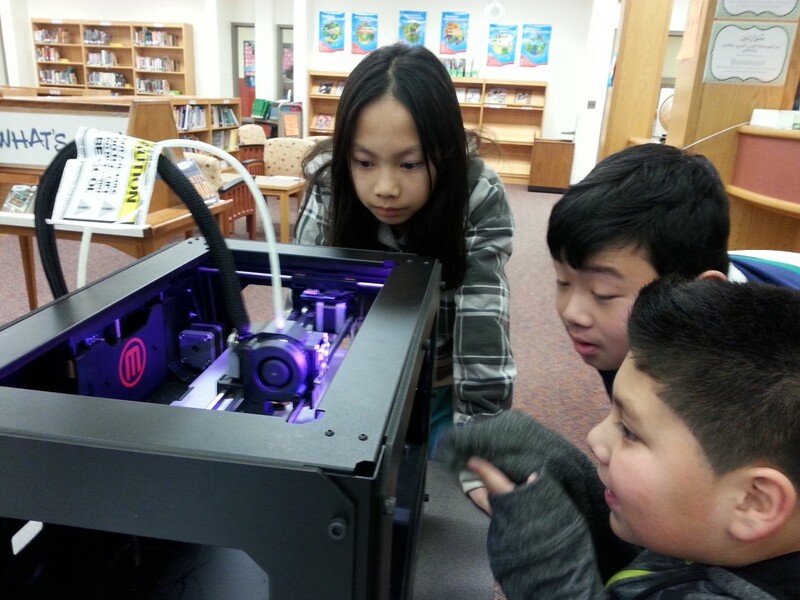 ), we brought in a 3-D printer for the students. One of our Maker mentors, Mayank, had been diligently repairing our 3-D printer for the past few months, and we were ready to take it for a spin. To say they were excited about it would be an understatement. We mentors provided the resources (the printer, links to websites to develop designs), and the students provided the creativity. 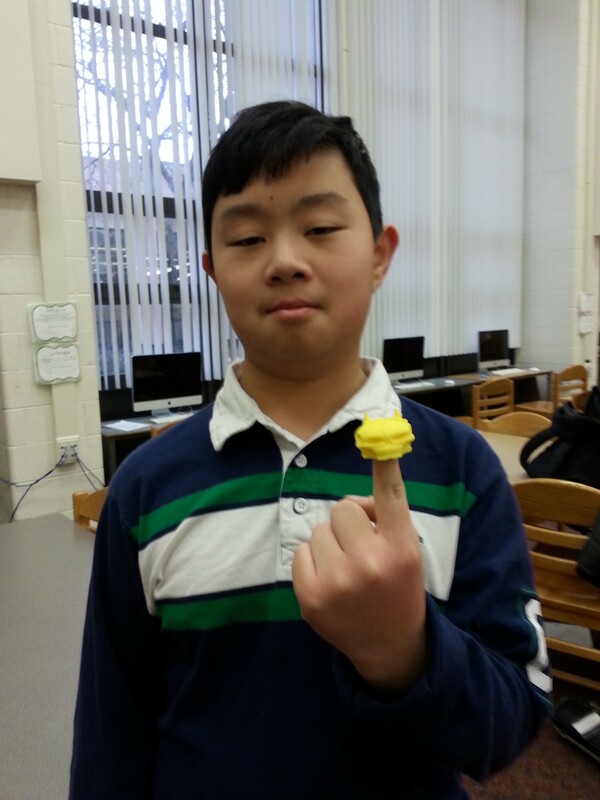 Each of the students had an opportunity to develop their own designs and get them printed. 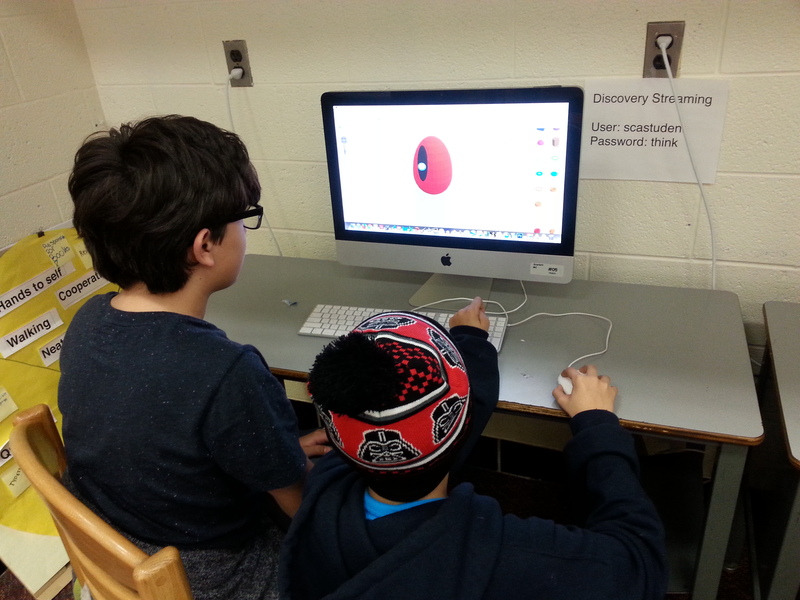 We directed them to https://www.tinkercad.com/, an easy-to-learn website where they could create their designs. Our students took to it without much help from us mentors and were willing to help each other modify their designs with tricks they learned while using the site. Which comic book character will this design become? The site had numerous shapes, designs, and letters for them to pick from. We had designs ranging from human skulls, comic book characters, initials, and even a pair of dice for board games! We loaded the designs into a laptop that was hooked up to the printer. 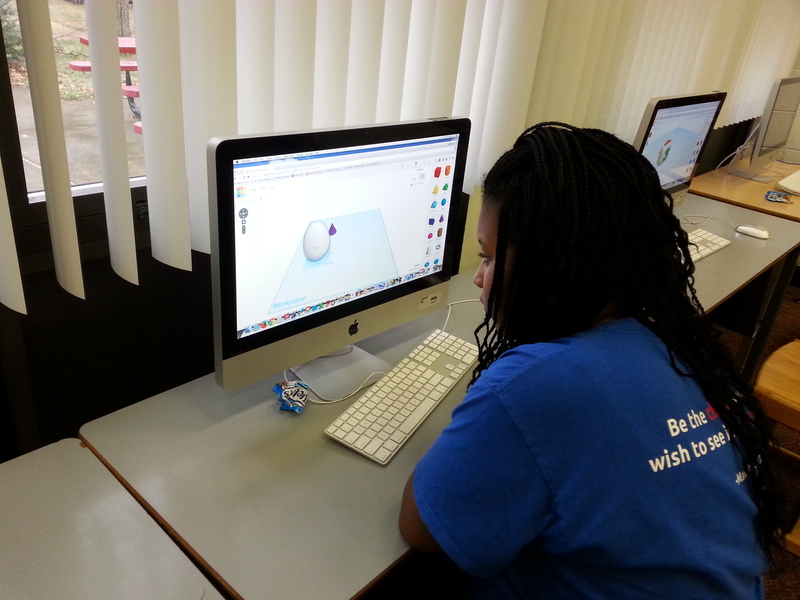 Slowly but surely, the designs were then transformed into 3-D objects before our eyes. 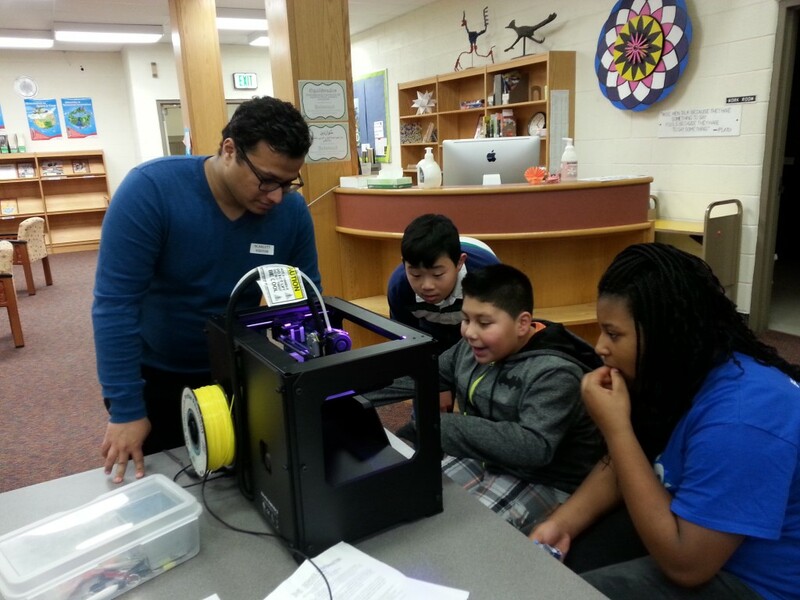 Learning about the printer from our Maker Mentor and resident 3-D printing expert, Mayank! Sometimes, the printer has difficulty printing intricate designs. When designs came out looking kind of funny or lost some of their detail, our students instinctively looked at the designs and thought of ways they could improve the design so that next time their designs would print the way they intended. Problem solving and iteration in action! With this initial printing experience under their belts, what will they print next? It’ll be exciting to see them take these concepts and experiences and build on them in the coming weeks. Check out more pics and activities from this week HERE. Images © 2015 Regents of the University of Michigan. Text made available under Creative Commons Attribution-NonCommercial-ShareAlike license unless otherwise stated. This project was made possible in part by the Institute of​ ​Museum and Library Services RE-05-15-0021-15. Images © 2015 Regents of the University of Michigan. Text available under Creative Commons Attribution-NonCommercial-ShareAlike license unless otherwise stated. This project was made possible in part by the Institute of​ ​Museum and Library Services RE-05-15-0021-15.